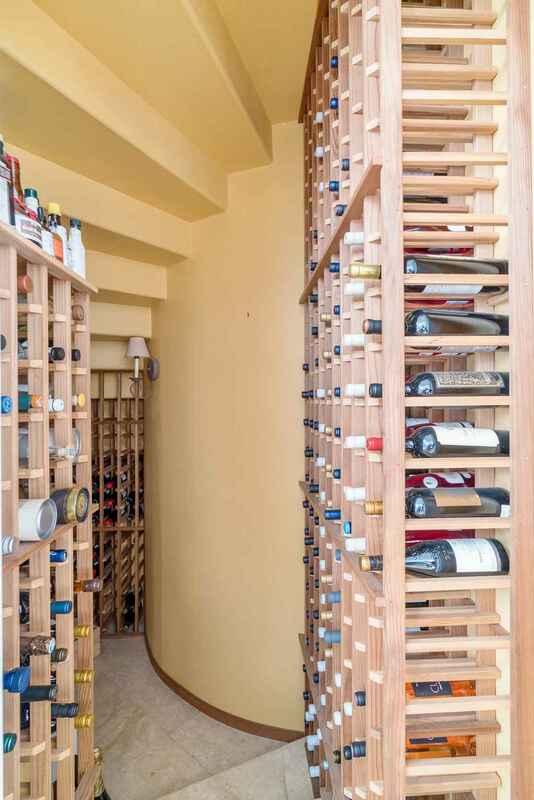 At first glance you can easily see that this is your dream home. 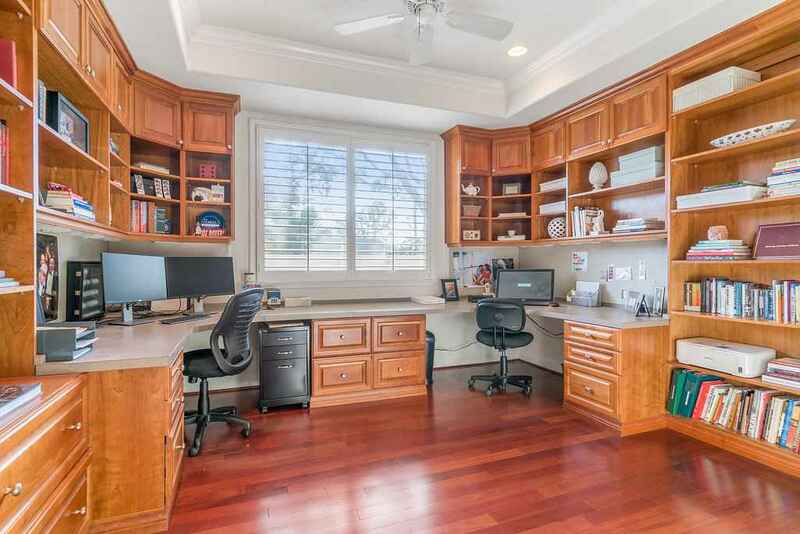 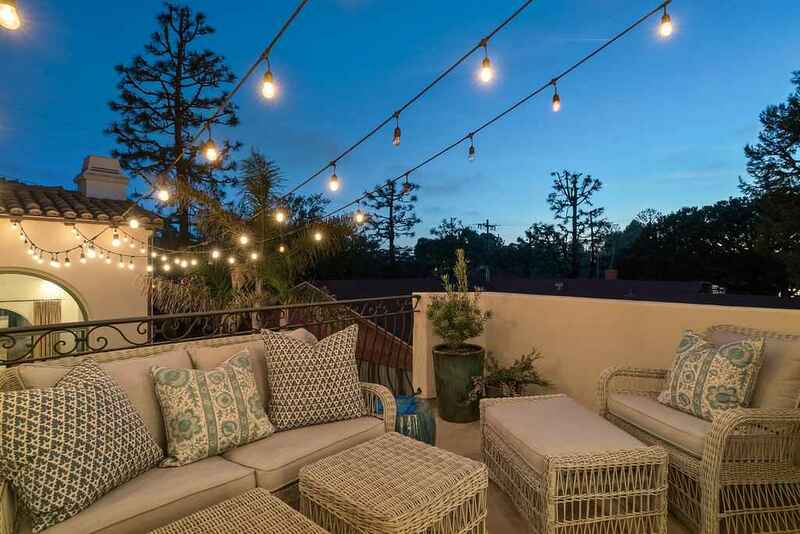 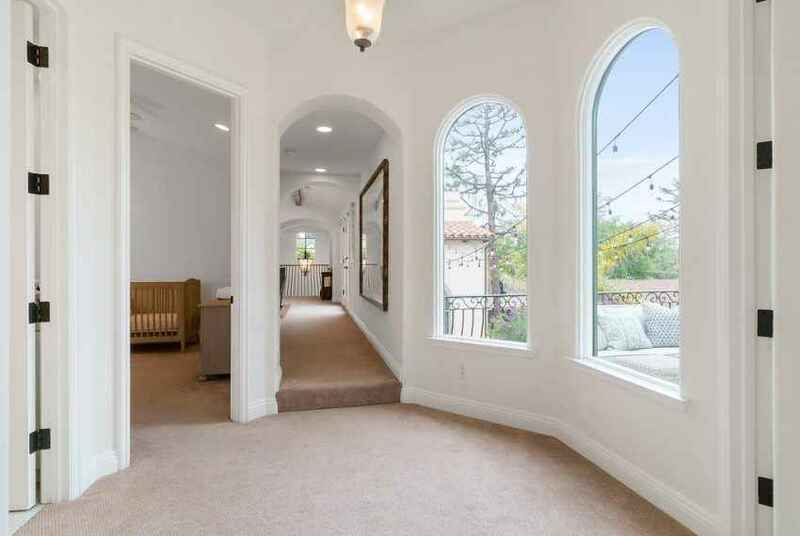 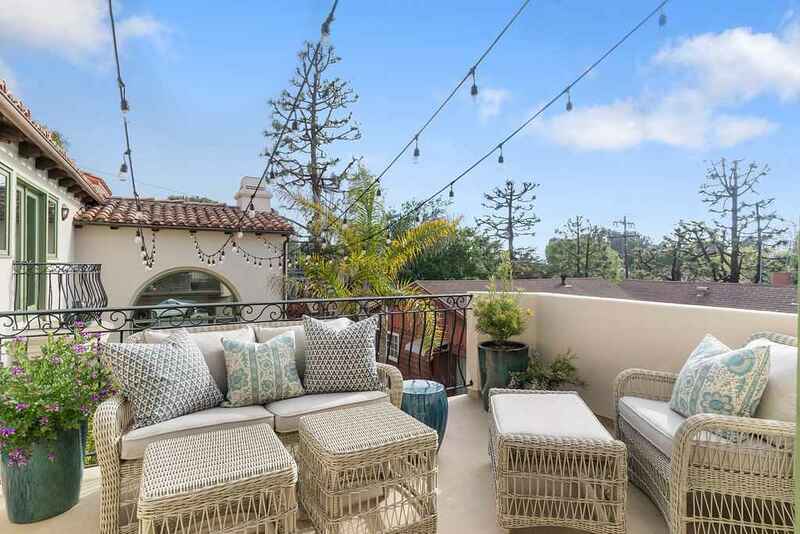 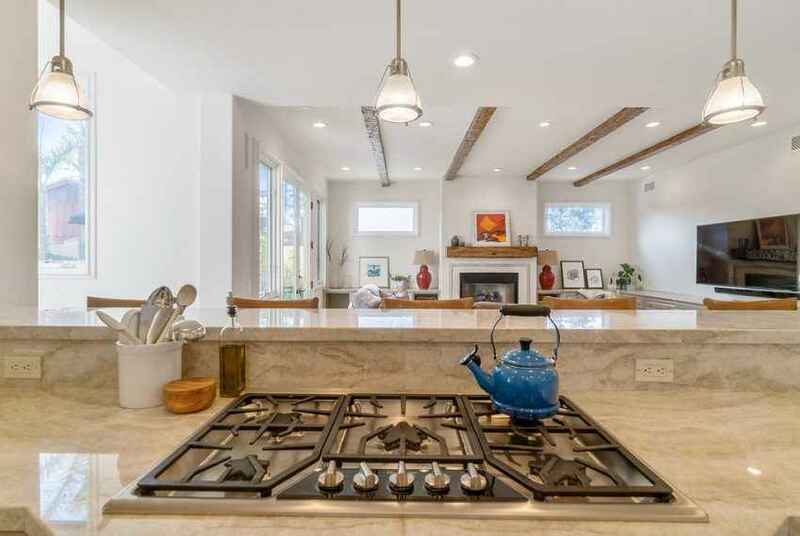 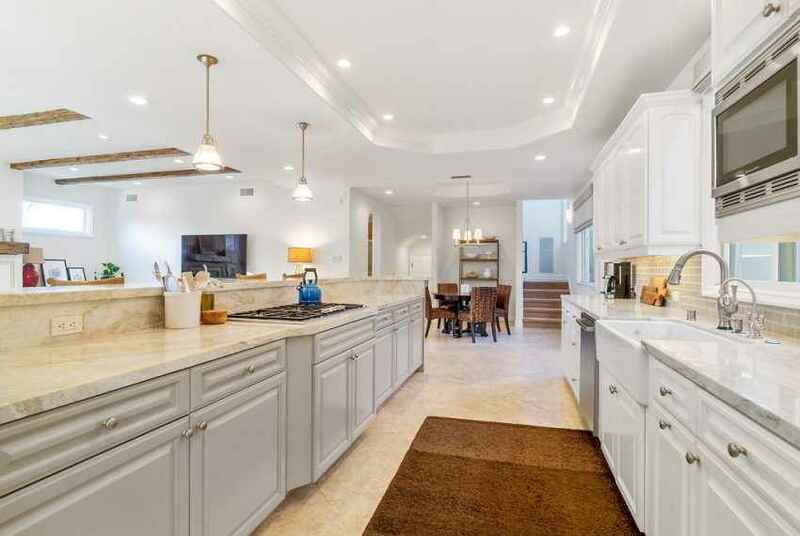 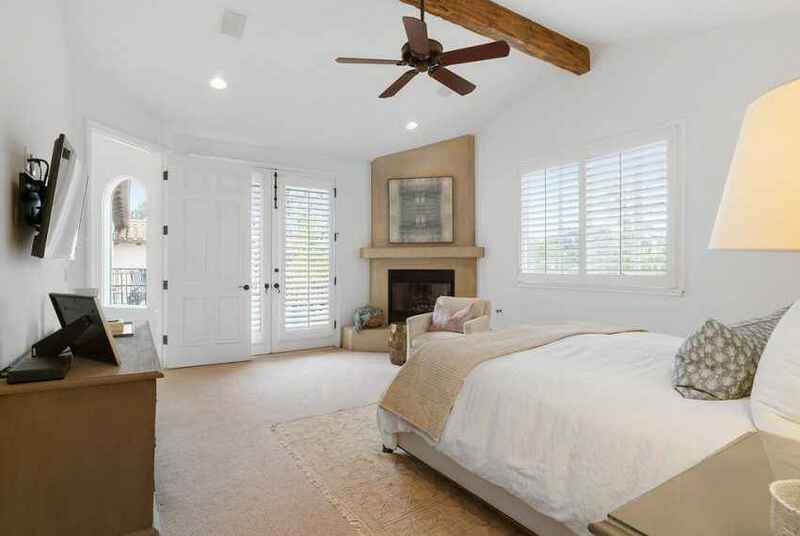 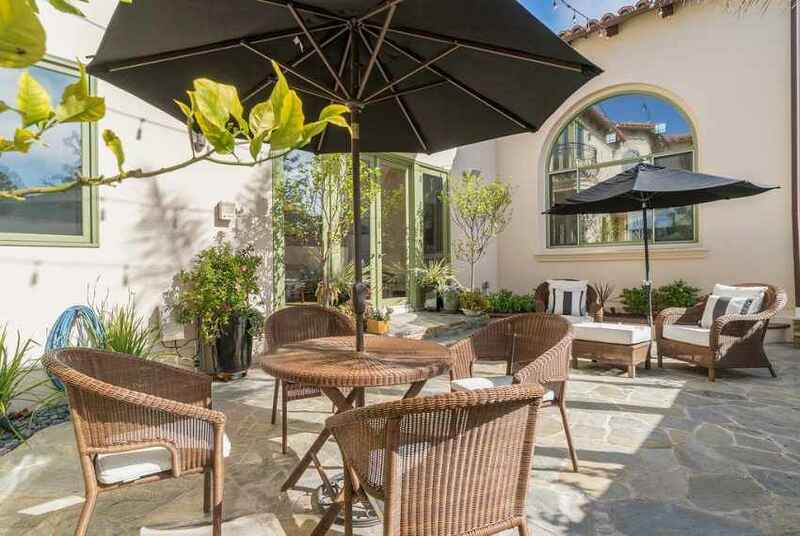 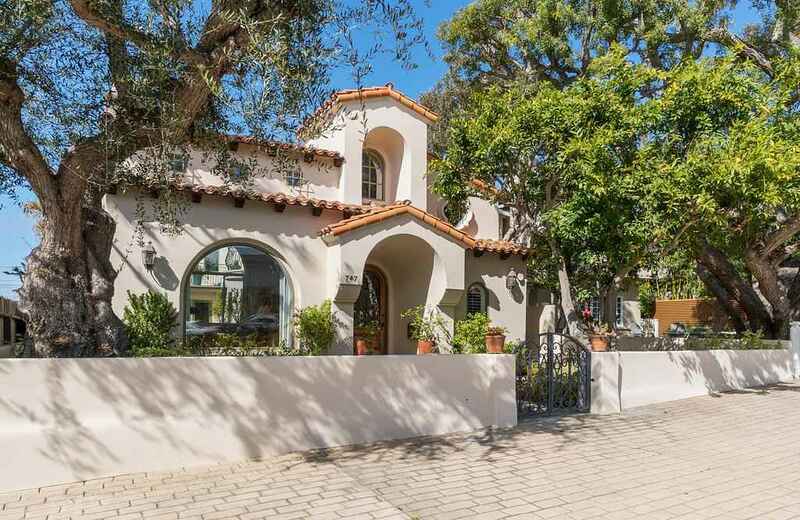 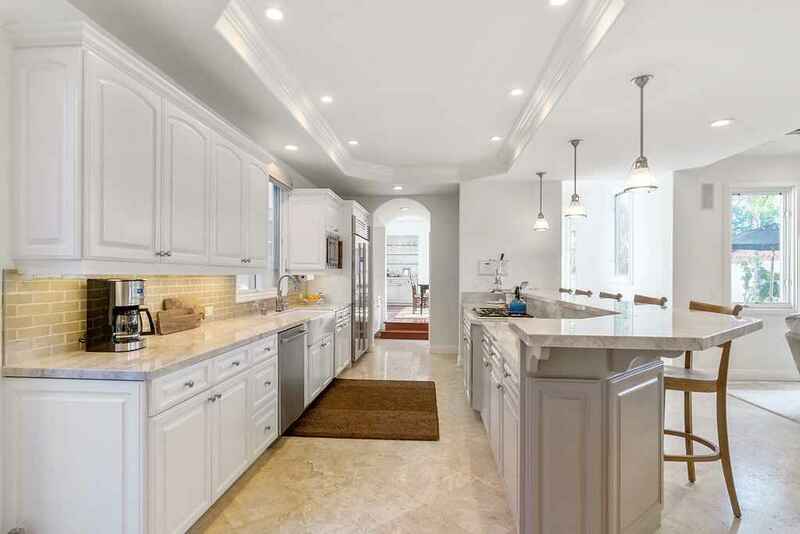 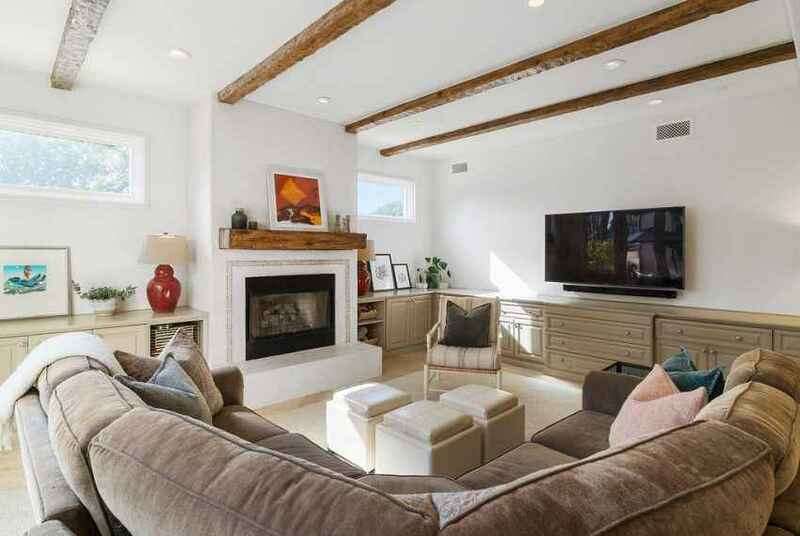 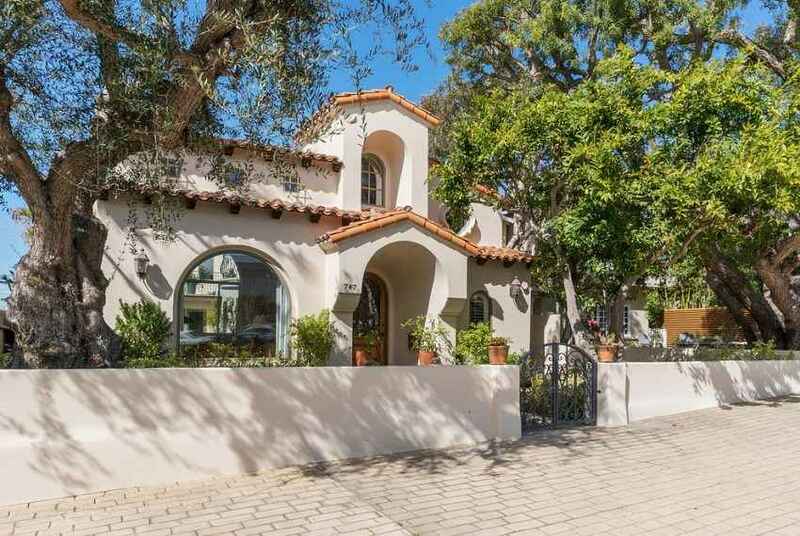 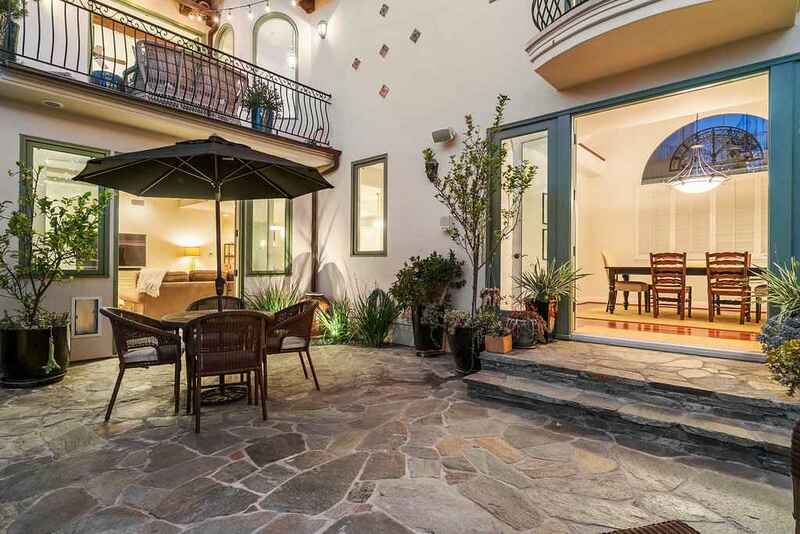 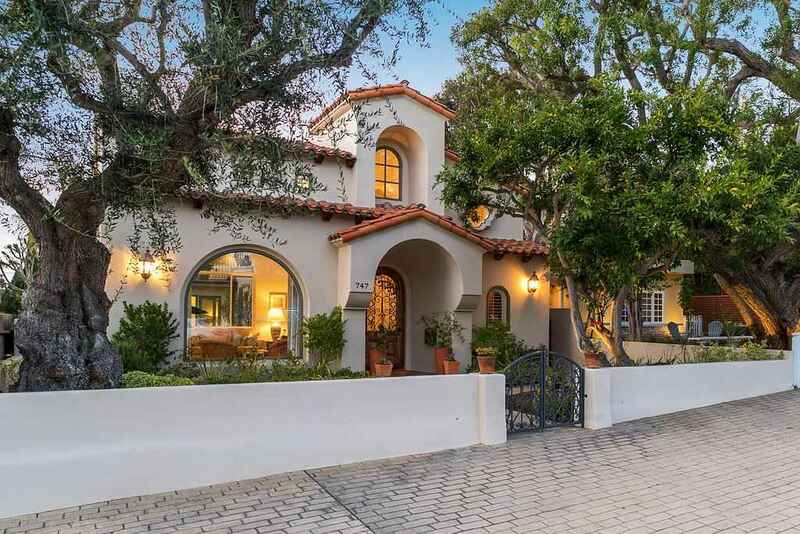 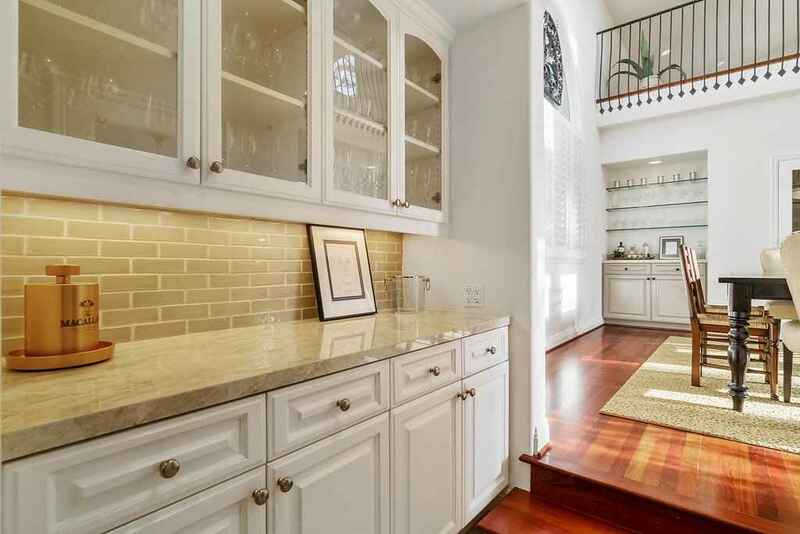 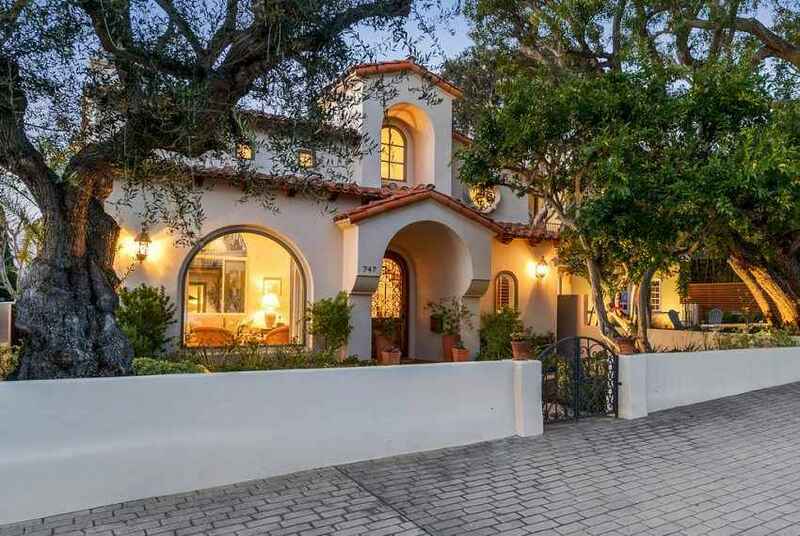 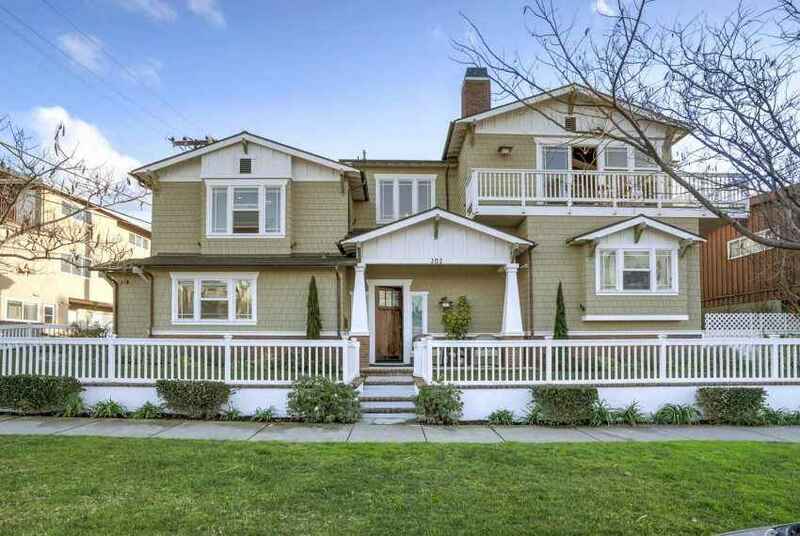 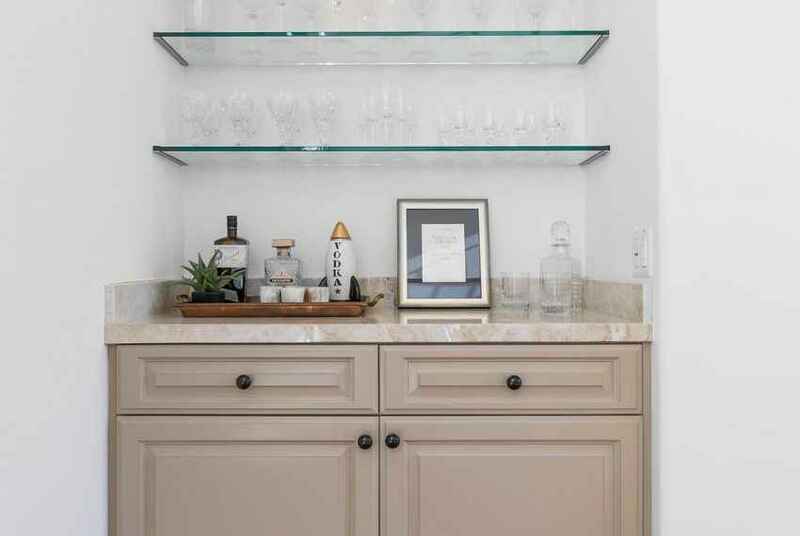 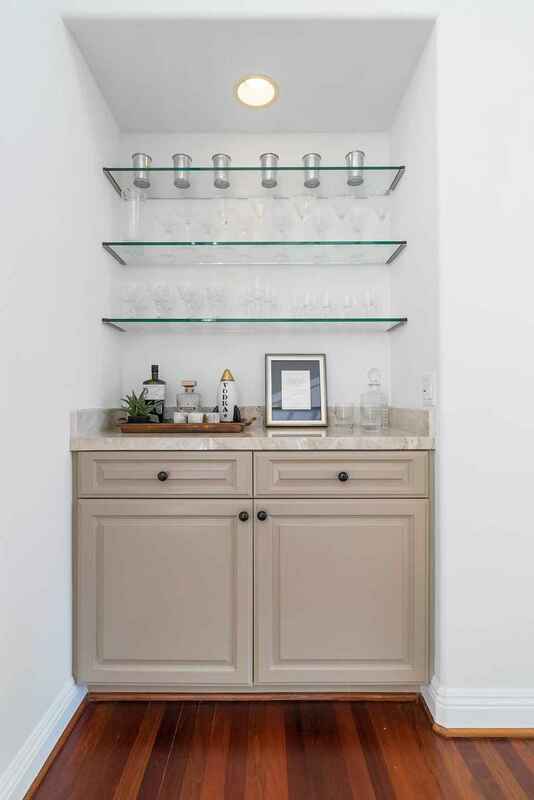 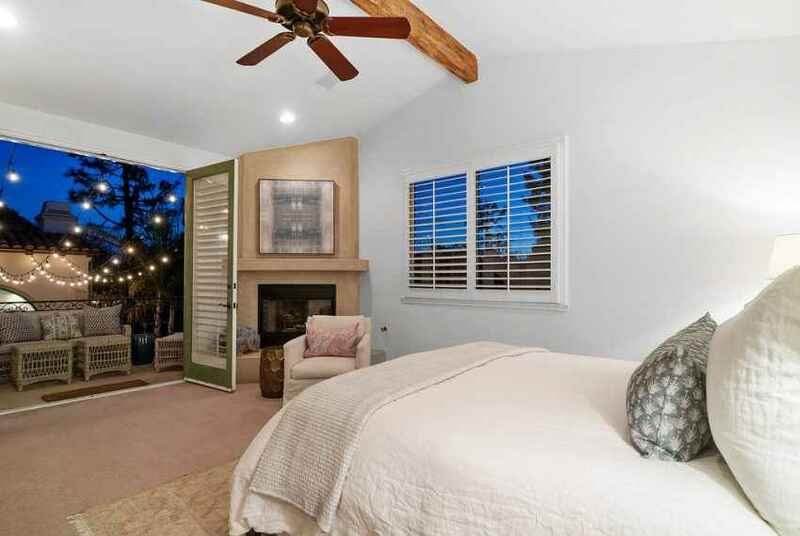 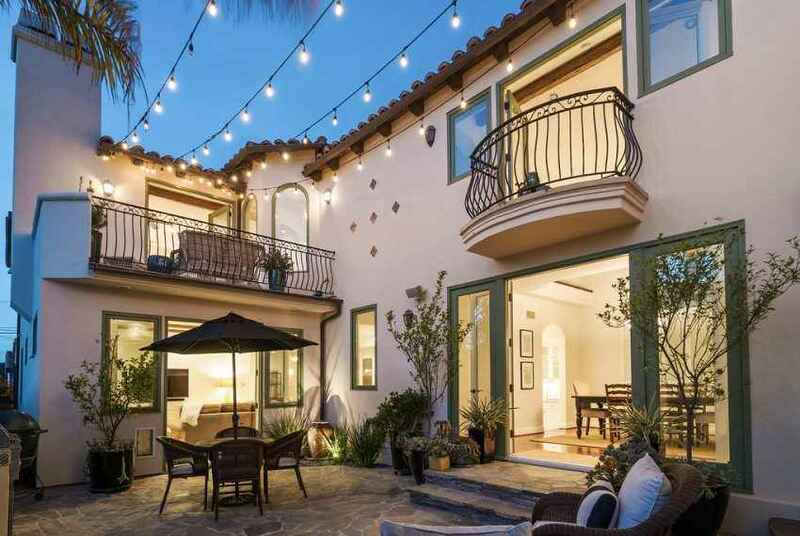 This stunning coastal Santa Barbara beauty sits at the crest of 33rd street in the prime Tree Section, which was voted one of the best streets in Manhattan Beach. 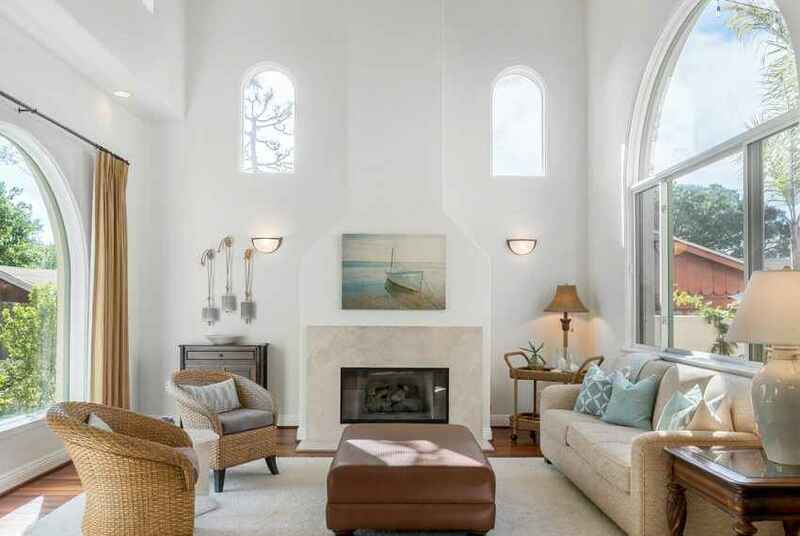 This home exudes a relaxed atmosphere and elegant style. 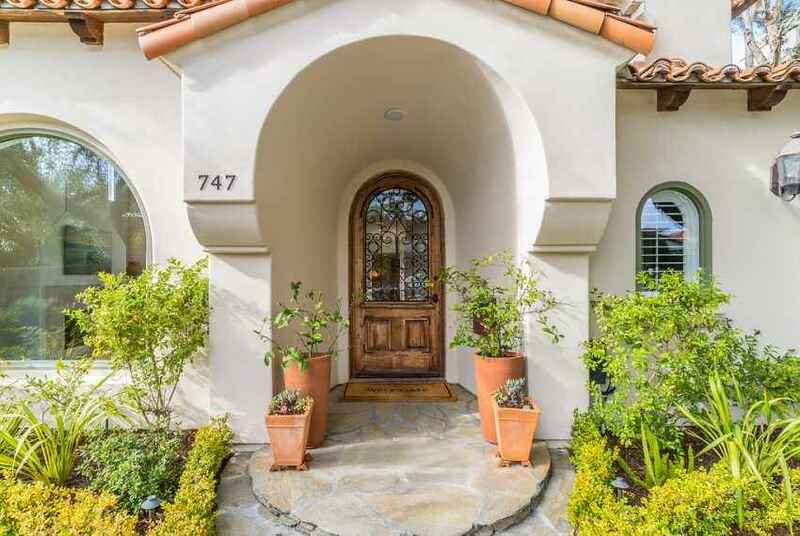 An inviting and gated front yard with mature landscaping makes this a truly special place anyone would be proud to call home. A stunning reclaimed wooden door with wrought iron accents is just a taste of the incredible details that await you. 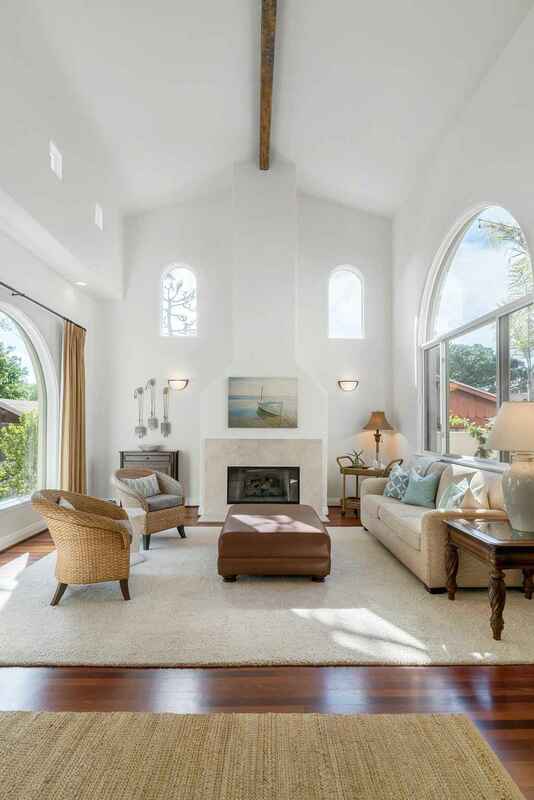 The formal living space has soaring ceilings that are complemented by rustic beams and ideally placed arched windows that allow sunlight to filter throughout. 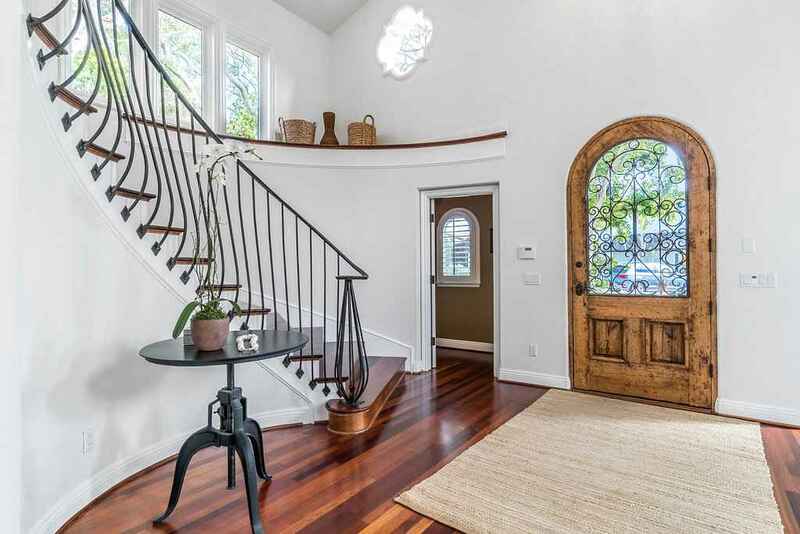 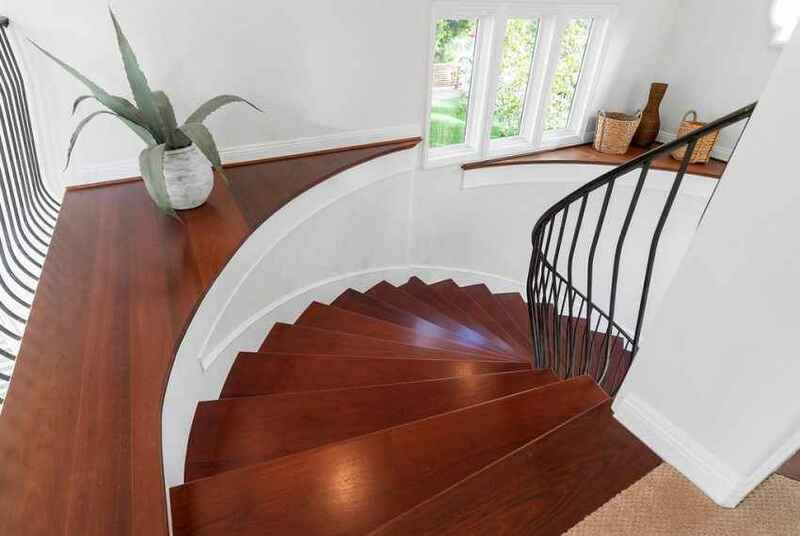 An impressive staircase adds warmth and visual appeal to the welcoming foyer. 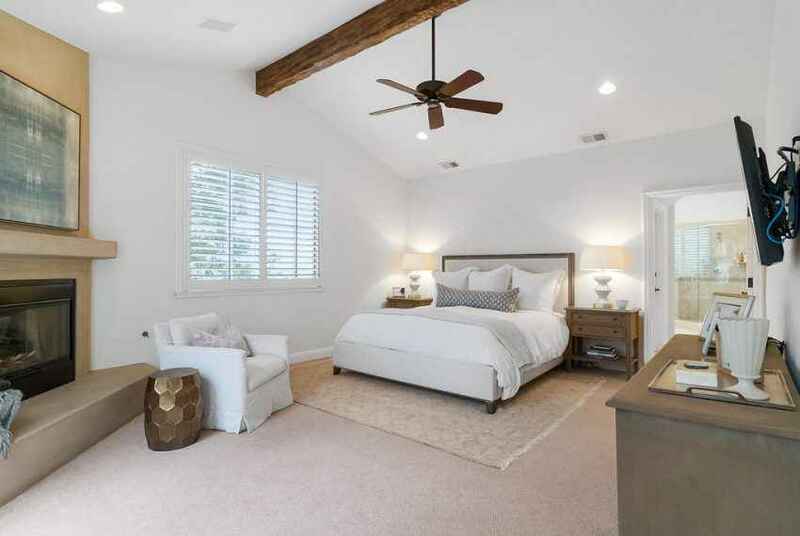 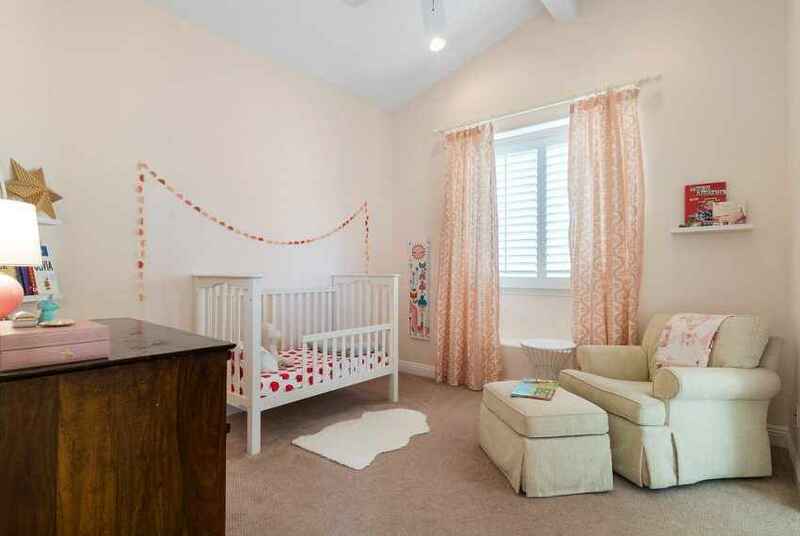 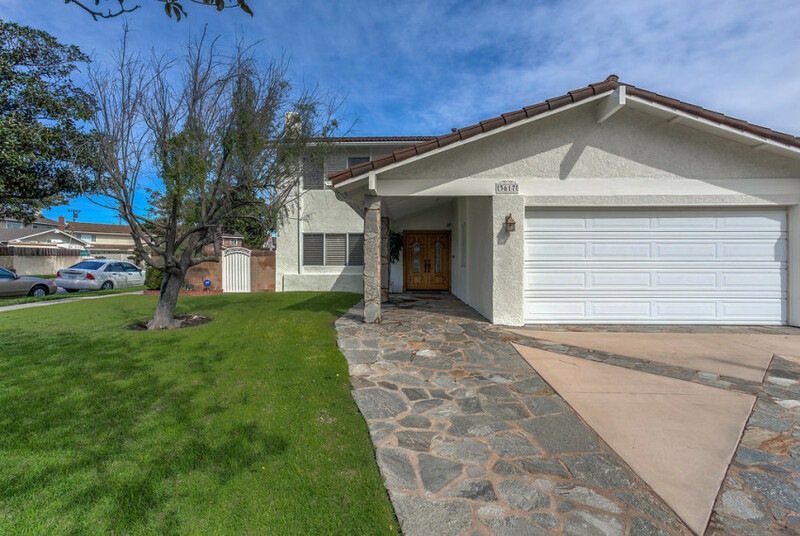 Step upstairs and enjoy the convenience of daily family living- four bedrooms all on the same level; including a luxurious master suite complete with dreamy fireplace, spa like master bath, and a spacious lounging deck that extends the space and welcomes fresh air and cool breezes. 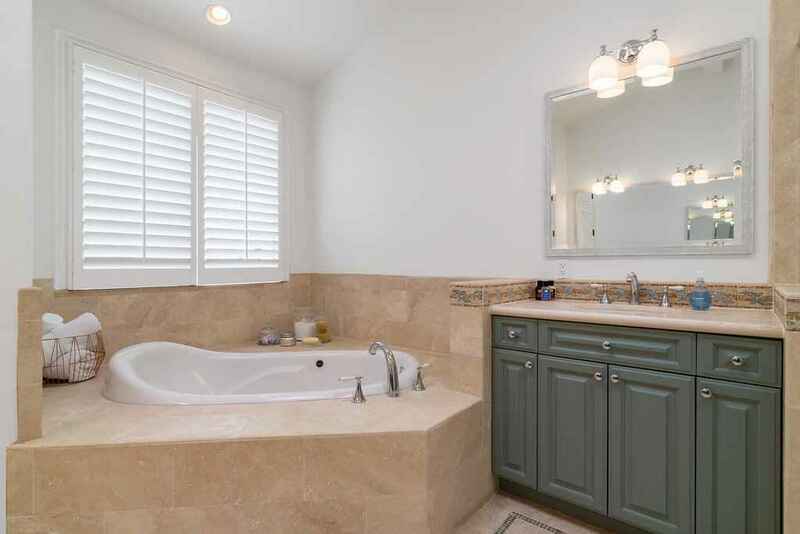 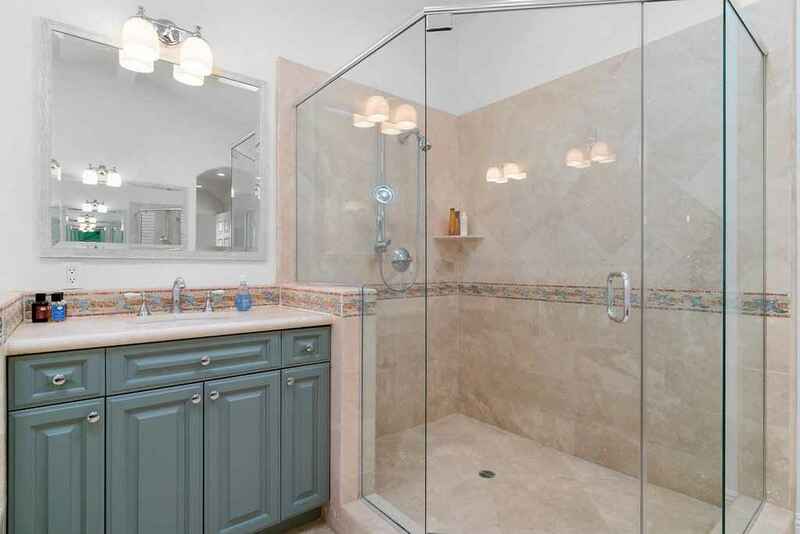 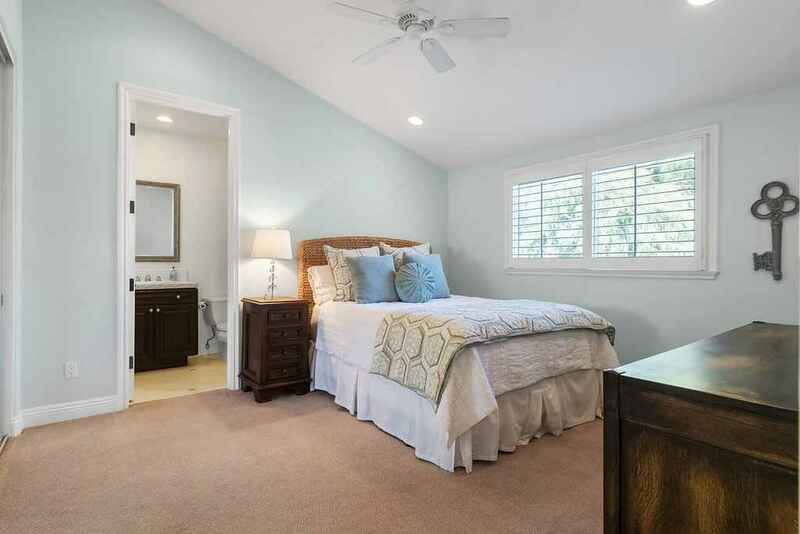 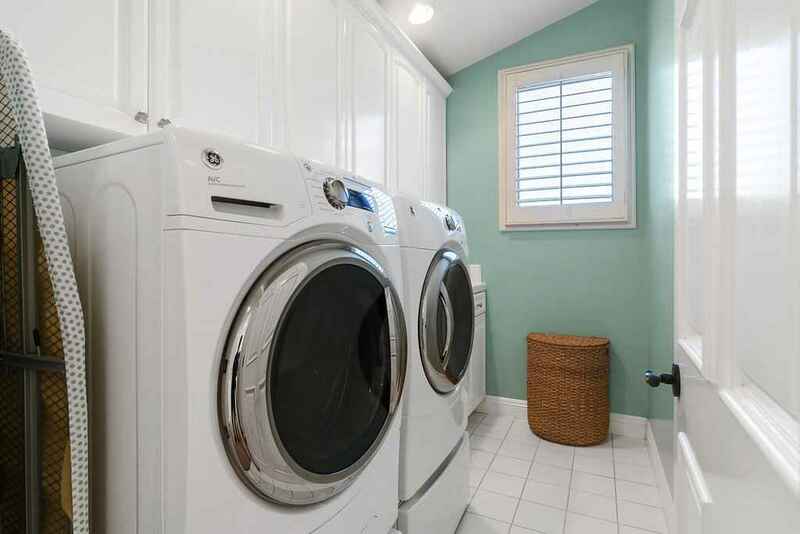 Additionally, two roomy bedrooms share a Jack and Jill bath, and there is the fourth bedroom that is slightly separated and could easily function as a guest room, or comfy in-law-suite. The lower main living area flows seamlessly with an easy and open concept floor plan. Imagine the entertaining possibilities from your well-appointed eat in kitchen and great room that centers around the beautifully landscaped outdoors creating a lush focal point and encouraging alfresco dining. 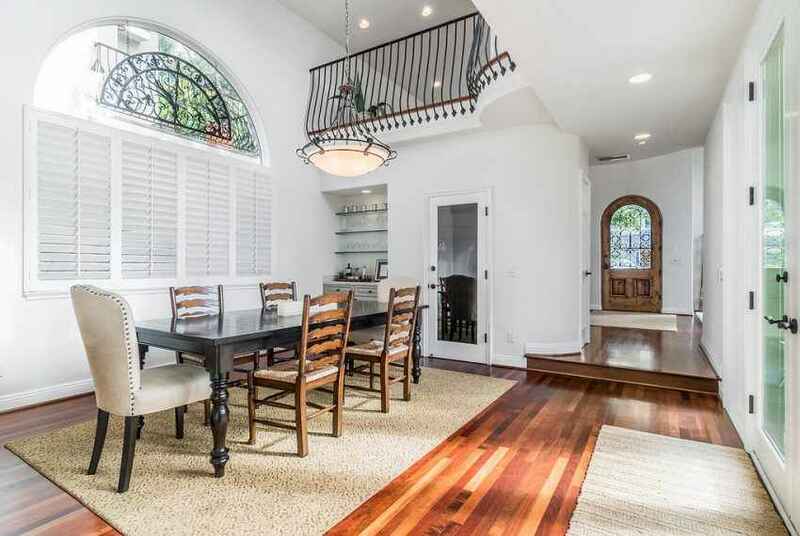 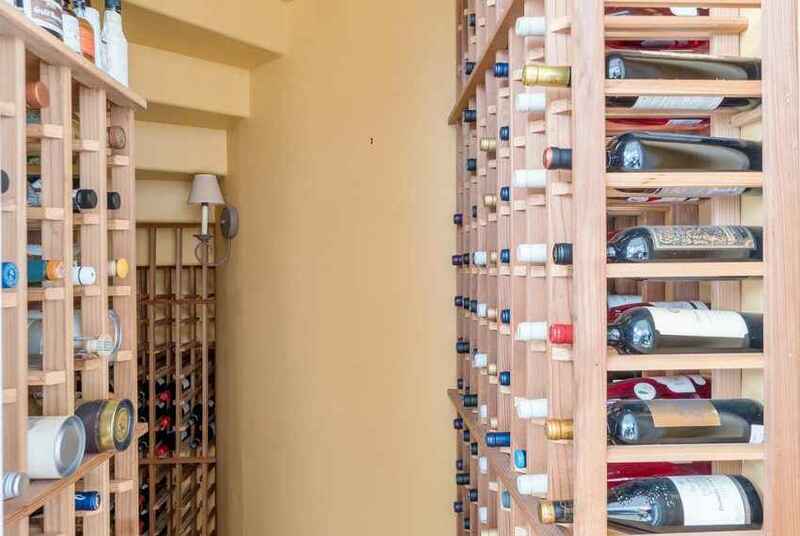 The superb dining room with a custom wine cellar and adjacent butler’s pantry make any dinner party an entertainers dream setting. 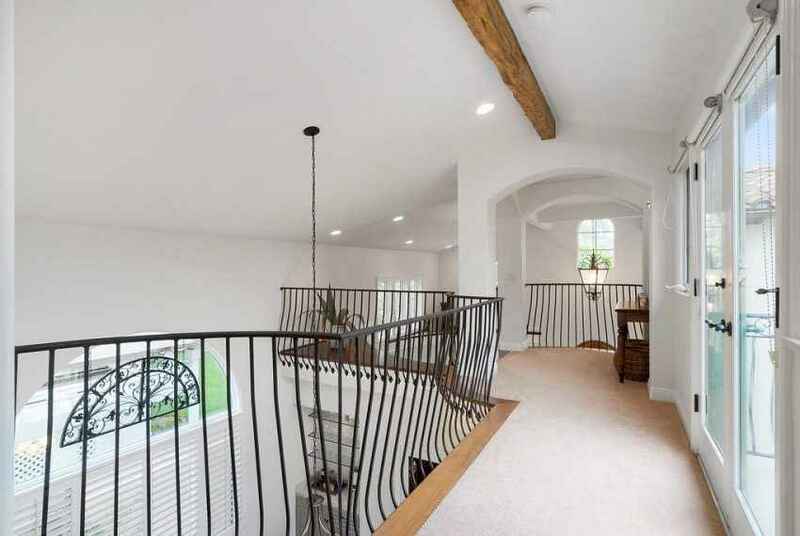 You can just feel the tranquility in this extraordinary home, and know in your heart it is a place where many happy memories will be created. 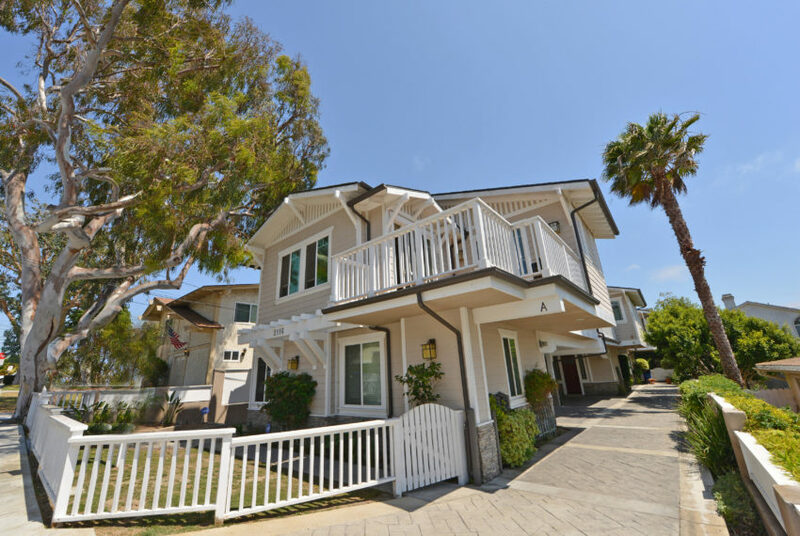 Walk to white sandy beaches, trendy shopping and upscale dining.